Green Food Solutions is out to disrupt the industrial food system! Building rooftop farms on residential buildings from public housing to luxury buildings, and delivering freshly harvested food via our Farm to Locavore weekly memberships. We are inspiring people in cities to grow their own food and support a new local urban food system. Join us Saturday morning for a local hydroponic growing experience in our 10,000 square foot greenhouse with panoramic views of NYC! We teach and empower you to grow your own food using super simple and affordable soilless technologies. You will get a demonstration and hands on experience seeding for 3 different hydroponic growing systems. We will begin with a brief presentation about how hydroponics addresses many of the problems of the industrial food system we have today. Then you will tour the first and only commercial rooftop farm on top of an affordable housing complex in New York City. After the tour let the growing experience begin! Don DiLillo of Sprout Box , is joining us as our guest speaker in presenting compact and affordable ways to grow your own highly nutritious food from home. Don DiLillo is an Urban Farmer from Huntington Station who specializes in Living Foods. 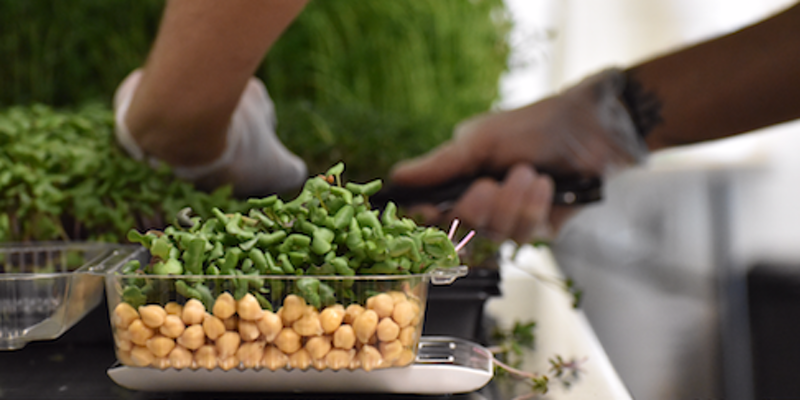 This food group contains Sprouts, Microgreens, and Wheatgrass. Because the plants he grows are so young, their nutrients, vitamins, and enzymes are concentrated making them up to 40X more nutritious than full grown plants. He will be doing a demo to show you just how you can grow your own food at home in just 5 days like he does.